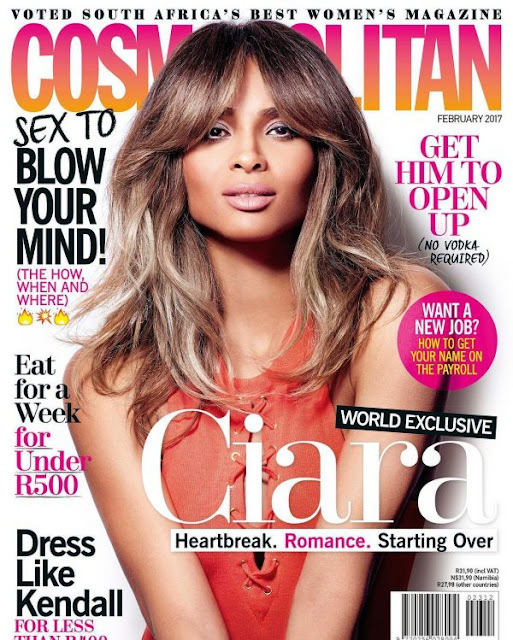 Basking in the glory of her pregnancy, Ciara is gracing the February 2017 issue of Cosmopolitan South Africa Magazine. The special features comes after the announcement of several new business ventures that Cici will be embarking on this year. Just last year in the Fall she was named the new face of Revlon that included a new global campaign. She also is collaborating with the Keds shoe brand. In just a few shorts months she will be giving birth to a beautiful baby & releasing some rumored new music.